Probably nothing has changed more in higher education over the last 50 years than the students themselves. In ‘the good old days’, when less than a third of students from high schools went on to higher education, most came from families who themselves had been to university or college. They usually came from wealthy or at least financially secure backgrounds. Universities in particular could be highly selective, taking students with the best academic records, and thus those most likely to succeed. Class sizes were smaller and faculty had more time to teach and less pressure to do research. Expertise in teaching, while important, was not as essential then as now; good students were in an environment where they were likely to succeed, even if the prof was not the best lecturer in the world. This ‘traditional’ model still holds true for most elite private universities such as Harvard, MIT, Stanford, Oxford and Cambridge, and for a number of smaller liberal arts colleges. But for the majority of publicly funded universities and two year community colleges in most developed countries, this is no longer the case (if it ever was). In Canada, with 28 per cent of high school graduates going on to university and another 20 per cent going to two year community colleges, the student base has become much more diverse (AUCC, 2011). 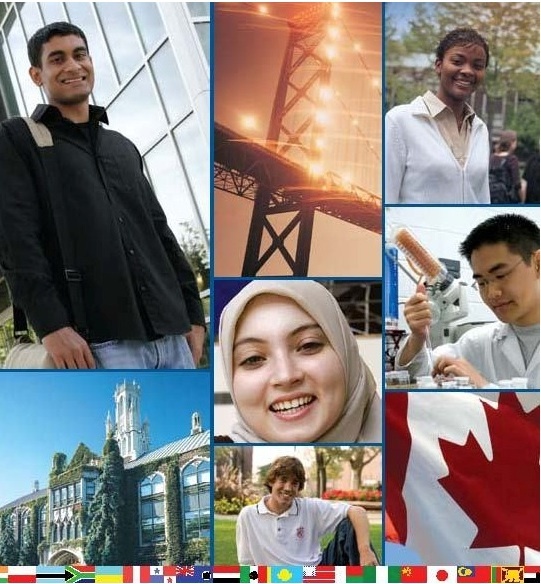 As state jurisdictions push institutions to participation rates of around 70 per cent going on to some form of post-secondary education (Ontario, 2011), institutions must reach out to previously underserved groups, such as ethnic minorities (particularly Afro-American and Latinos in the USA), new immigrants (in most developed countries), aboriginal students in Canada, and students with English as a second language. Governments are also pushing universities to take more international students, who can be charged full tuition fees or more, which in turn adds to the cultural and language mix. In other words, post-secondary institutions are expected to represent the same kind of socio-economic and cultural diversity as in society at large, rather than being institutions reserved for an elite minority. We shall also see that in many developed countries, university and college students are older than they used to be and are no longer full-time students dedicated only to lots of study and some fun (or vice versa). The increasing cost of tuition fees and living expenses forces many students now to take part-time work, which inevitably conflicts with regular classroom schedules, even if the students are formally classified as full-time students. As a result students are taking longer to graduate. In the USA, the average completion time for a four year bachelors degree is now seven years (Lumina Foundation, 2014). The Council of Ontario Universities (2012) has noted that students NOT coming direct from high school now constitute 24% of all new admissions, and enrolments from this sector are increasing faster than those from students coming direct from high schools. Perhaps more significantly, many graduates are returning later in their careers to take further courses or programs, in order to keep up in their ever-changing knowledge domain. Many of these students are working full-time, have families and are fitting their studies around their other commitments. Yet it is economically critical to encourage and support such students, who need to remain competitive in a knowledge-based society. especially as with falling birthrates and longer lives, in some jurisdictions lifelong learners, students who have already graduated but are coming back for more study, will soon exceed the number of students coming directly from high school. Thus at the University of British Columbia in Canada, the mean age of all its graduates students is now 31, and more than one third of all students are over 24 years old. There is also an increase in students transferring from two year colleges to universities – and vice versa. For instance, in Canada, the British Columbia Institute of Technology estimates that now more than half of its new enrolments each year already have a university degree. Another factor that makes students somewhat different today is their immersion in and facility with digital technology, and in particular social media: instant messaging, Twitter, video games, Facebook, and a whole host of applications (apps) that run on a variety of mobile devices such as iPads and mobile phones. Such students are constantly ‘on’. Most students come to university or college immersed in social media, and much of their life evolves around such media. Some commentators such as Mark Prensky (2001) argue that digital natives think and learn fundamentally differently as a result of their immersion in digital media. They expect to use social media in all other aspects of their life. Why should their learning experience be different? We shall explore this further in Chapter 8, Section 2. Many older faculty still pine for the good old days when they were students. Even in the 1960s, when the Robbins’ Commission recommended an expansion of universities in Britain, the Vice-Chancellors of the existing universities moaned ‘More means worse.’ However, for public universities, the Socratic ideal of a professor sharing their knowledge with a small group of devoted students under the linden tree no longer exists, except perhaps at graduate level, and is unlikely ever to return to public post-secondary institutions (except perhaps in Britain, where the Cameron government seems to be dialling back the clock to the 1950s). The massification of higher education has, to the alarm of traditionalists, opened up the academy to the great unwashed. However, we have seen that this is being done as much for economic reasons as for social mobility. The implications of these changes in the student body for university and college teaching are profound. At one time, German math professors used to pride themselves that only five to ten per cent of their students would succeed in their exams. The difficulty level was so high that only the very best passed. A tiny completion rate showed how rigorous their teaching was. It was the students’ responsibility, not the professors’, to reach the level required. That may still be the goal for top level research students, but we have seen that today universities and colleges have a somewhat different purpose, and that is to ensure, as far as possible, that as many students as possible leave university appropriately qualified for life in a knowledge-based society. We can’t afford to throw away the lives of 95 per cent of students, either ethically or economically. In any case, governments are increasingly using completion rates and degrees awarded as key performance indicators that influence funding. It is a major challenge for institutions and teachers to enable as many students as possible to succeed, given the wide diversity of the student body. More focus on teaching methods that lead to student success, more individualization of learning, and more flexible delivery are all needed to meet the challenge of an increasingly diverse student body. These developments put much more responsibility on the shoulders of teachers and instructors (as well as students), and require a much higher level of skill in teaching. Fortunately, over the last 100 years there has been a great deal of research into how people learn, and a lot of research into teaching methods that lead to student success. Unfortunately, that research is not known or applied by the vast majority of university and college instructors, who still rely mainly on teaching methods that were perhaps appropriate when there were small classes and elite students, but are no longer appropriate today (see, for instance, Christensen Hughes and Mighty, 2010). Thus a different approach to teaching, and a better use of technology to help instructors increase their effectiveness across a diverse student body, are now needed. 1. What changes if any have you noticed in the students you are teaching? How does this differ from my analysis? 2. Whose responsibility is it to ensure students succeed? To what extent does the diversity of students place more responsibility on teachers and instructors? 3. Do you agree that ‘More means worse’? If you do, what alternatives would you suggest for higher education? How would this be paid for? 4. Does your country/state have the balance right between academic and vocational education? Do we put too much emphasis on universities and not enough on technical or vocational colleges? Lumina Foundation (2014) A Stronger Nation through Higher Education Indianapolis IN: The Lumina Foundation for Education, Inc.
1.6 Changing students, changing markets for higher education by Anthony William (Tony) Bates is licensed under a Creative Commons Attribution-NonCommercial 4.0 International License, except where otherwise noted.